Please ensure that the drain is open so that water, rain or molten snow can drain off. Drill a hole (Ø min. 8 mm) into containers without a drainage hole. Please ensure that the hole has a certain distance to the subsurface. Therefore, when drilling a hole, please select an alleviated position in the container or place the container on small "feet". Do not place containers on trays. 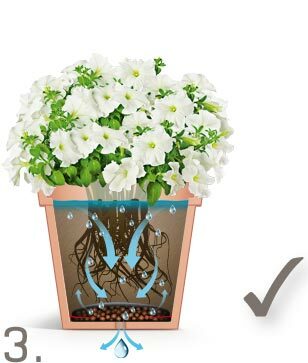 Soil or roots may clog the hole. A drainage layer (ca. 5 cm) consisting of expanded clay or gravel with a cover made of fibre fleece offers effective protection. It is much easier with the professional drainage EASY DRAIN. 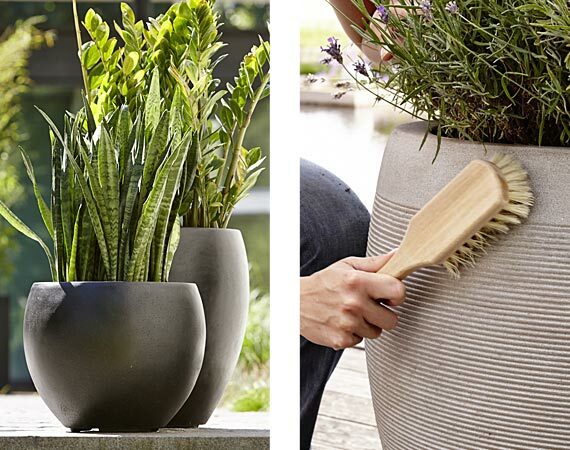 We recommend storing the planters in a protected, covered location. Simply clean with water and a soft brush. 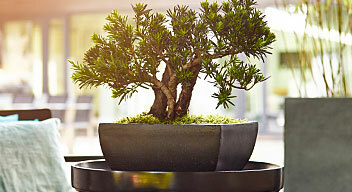 Do not use aggressive cleaning agents, high-pressure cleaners or hard brushes. 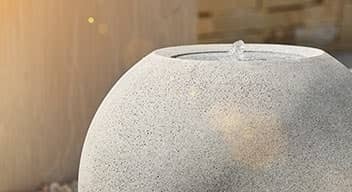 Place ESTERAS fountains only on water-resistant subsurfaces. Spray water can never be entirely ruled out. 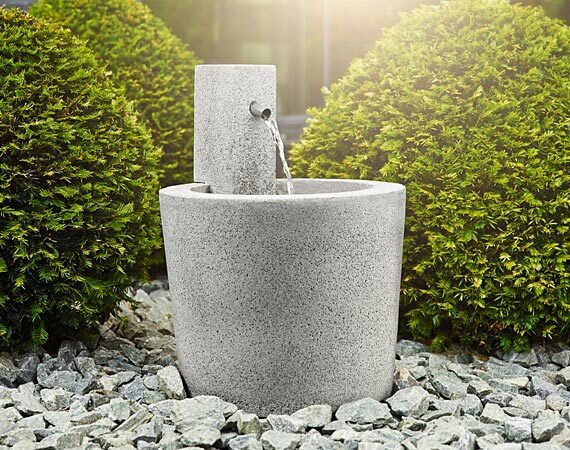 Fountain bowls, pedestals and water bearing parts should not be left in the outdoors over winter. Store in a dry, protected area such as the garage or basement. Simply clean with water, a mild detergent and a soft brush. Do not use any high-pressure cleaners or bleach. 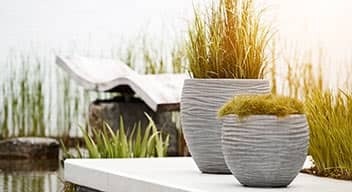 We recommend the use of algae destruction products. Place on a level surface and ensure a constant water level: The pump must remain entirely submerged. Please ensure that the drain is open so that rain or molten snow can drain off. 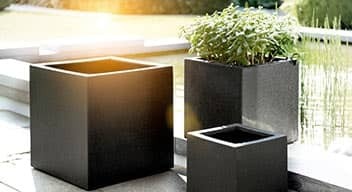 Place planters containing plants on "small feet". 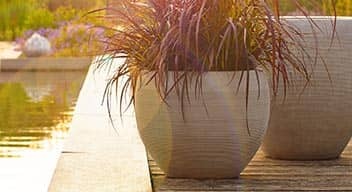 Wrap terracotta planters in bubble wrap and cover the roots. 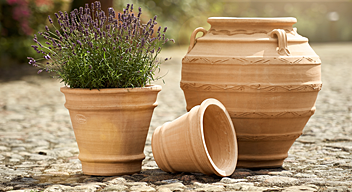 Store empty terracotta planters upside-down. 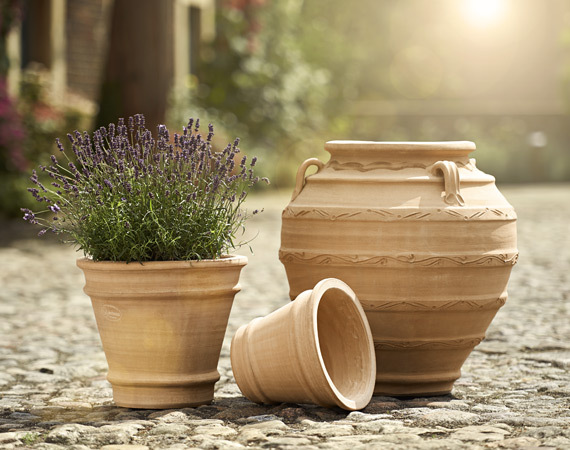 Place terracotta planters in water prior to planting – this keeps the roots moist longer. 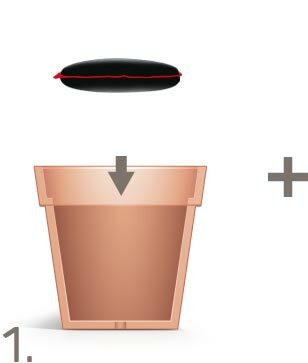 The EASYDRAIN Professional drainage ensures the ideal environment for roots and optimal growth. Simply place the felt bag in the container. 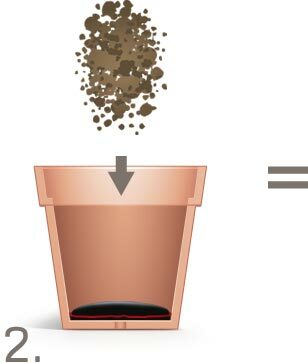 Add soil. Done! The high-quality clay granulate can be used over and over again for many years.